Photo of junior sailors in Riverside, CT by Sam Shere for LIFE, 1945. Boy. 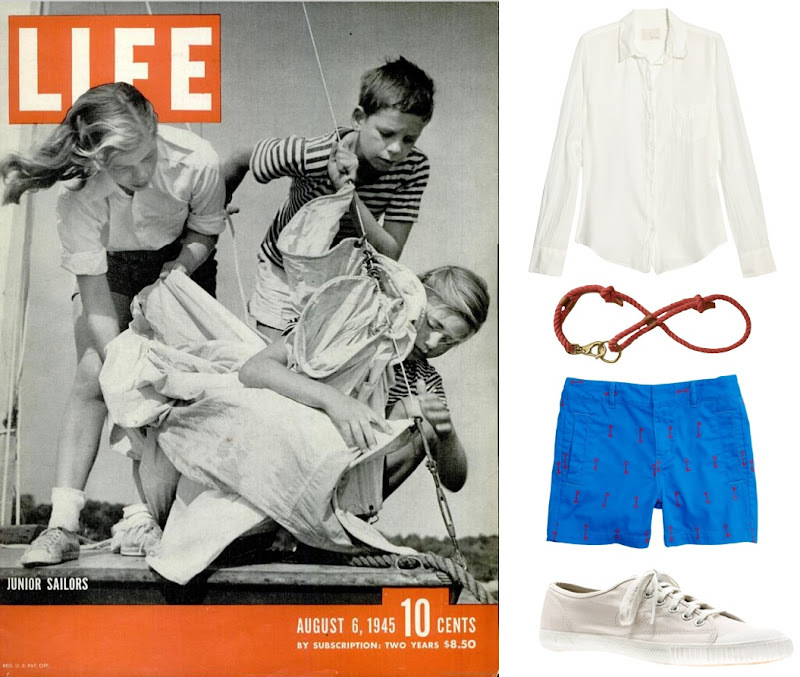 by Band of Outsiders cotton and silk-blend white button down ($275); Nautical Rope Belt ($59); Turnkey Shorts ($59); Tretorn canvas T56 sneakers ($68). Anything with anchors has my seal of approval. And thank goodness I found another dress shirt. Because hello summer uniform!